Lady had a day off today and went a got a new do!! I got to play with my hairdresser's puppies Ruby and Oliver. 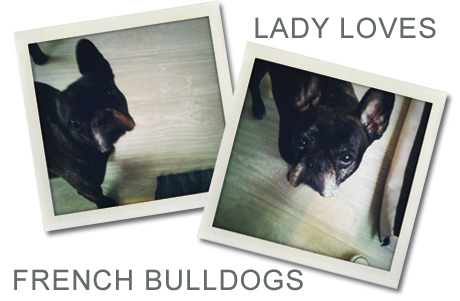 Aren't they divine, this season's must have accessory, a French Bullldog. I want one so bad, but unfortunatly the Palace is not suitable for a fur baby!